Volunteers from Big Sunday, HopeNet, Rotary, and IPC came together to give the Food Pantry a fresh coat of paint! find its way amidst your broken ruins. and show favor to your very dust. is the very life of our soul. As for the assembly, there shall be for both you and the resident alien a single statute, a perpetual statute throughout your generations; you and the alien shall be alike before the Lord. You and the alien who resides with you shall have the same law and the same ordinance. 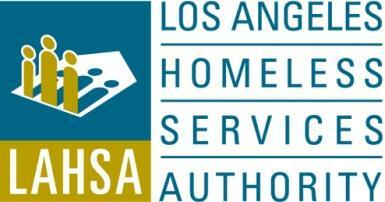 The Los Angeles Homeless Services Authority (LAHSA) is the lead agency responsible for completing the Count. The Count helps LAHSA demonstrate our area’s need for housing, shelter, and service programs to the federal government. With your help we can end homelessness. They count. The question is: Will you? El Los Ángeles Homeless Services Authority (LAHSA) es la principal agencia responsable por completando la Cuenta. La Cuenta ayuda a LAHSA a demostrar la necesidad de nuestra area por vivienda, albergues y programas de servicio al gobierno federal. Con su ayuda podemos terminar este problema. Estas personas cuentas. La cuestión que existe es: ¿Lo hará? Para registrarse por favor haga clic aqui o hable con Mira Chaikin. El compromiso es por solo tres a cinco horas cada día. Si tiene cuestiones, por favor comuníquese con Maricor Garaniel, Los Angeles Homeless Services Authority (LAHSA) Coordinador de Voluntarios al mgaraniel@lahsa.org o 213-225-8410. How have wise men become such fools as to adore a child, whose age and whose relations’ poverty alike deserve contempt? … They fall on their faces, they revere Him as King, they worship Him as God. Of a truth He, Who led them hither, has instructed them too; He, Who urged them on by means of the star without, has Himself taught them in their inmost heart. You are currently browsing the archives for the Volunteer Latest News category.